Suggested Serving Size: 1 scoop (included), equal to about 6.1 grams. Suggested Usage: Start with one flat teaspoon per day and increase gradually over two weeks to one scoop per day. This blend can be mixed with water or juice, preferably freshly squeezed vegetable juice. It can also be blended with a fruit smoothie. If you experience temporary beneficial cleansing reactions such as loose stools, you can reduce daily intake to one teaspoon or less, and gradually increase to one scoop over a two-week period. I am on my second jar now. I start my morning with a large glass of water with juice from 1/2 lemon and a t1 tbs of greens powder mixed in. My body likes this stuff and I feel more energetic and clear minded after drinking it. I had chemo after having breast cancer 4 years ago and it was not until starting drinking this that I've felt more like my old self and my digestive issues are improving. Thank you Dr. Kim! Been using Dr. Kim's Greens for about many years and haven't been to a doctor in that time. Tried many others, this is the best by far. I rarely get sick, I feel better, I think better when I use it every day. I love this product, it gave me more energy and I feel better. I recommend trying this product out. I felt after using the greens my body had more energy. It was an easy way to incorporate more greens into my diet. Love Dr. Ben Kim and his advice and products! I have been using Dr. Ben Kim's Organic Greens for several years now. I mix the Organic Greens powder with his Acerola Vitamin C powder in a tall glass of water every morning. I have been doing this for 3.5 years without missing one single day. I am a nanny, and have worked with a LOT of sick children over the years, and not once have I ever gotten sick or missed a day or work. I am 52 years old, and recently my doctor told me (after a full lipid/metabolic panel) I am healthier than most 30 year olds. I definitely attribute my excellent health to Dr. Ben's Organic Greens & Acerola Vitamin C, along with eating a clean, nutritious whole foods diet. Dr. Kim also has amazing recipes and other resources to aid in optimum nutrition. I especially love the fact that he attended school in Chicago, which is where I reside. He has earned my full trust and respect over the years. I have only been taking the greens for a short while but already I am feeling the benefit. I feel so much better and my joints don't hurt and my tummy upsets seem to be a thing of the past. Love them and have just ordered more. My kids and I love this green food. When I give it to them on a daily basis during the cold and flu season they don't get sick. A daily serving of the greens and the acerola vitamin C is my late afternoon go-to treat for hunger and stamina. I haven't been able to find a comparable product of this quality anywhere else. I was a fan of these greens back in 2009 when I used to have ulcerative colitis, but ever since then I really started learning and taking care of my health. The greens helped back then but I stopped for a while due to financial issues. Recently I got hooked again, and I noticed my abs were starting to pop out more. I've been feeling pretty great & definitely think greens have helped (I've also had some other dietary and lifestyle changes). I'd definitely recommend them! Other greens (like athletic greens) are close to 100 for a month's supply so the price is really great too! I don't think everyone would agree with me, but personally the taste of it in plain water is good and not as bitter as I'd expect. Best organic greens product I've ever used. I have been trying green drinks for years trying to find the right one. This product is the best thing I have ever put in my body. If I had to stop taking all my supplements this is the one I would fight to keep taking. It has completely balanced my digestive system and I struggled terribly with constipation, bloating, pain and gas, my whole life. I rarely have any complaints today. the difference is incredible. I usually get sick in the winter at least once maybe twice. I do not stay sick for long but this year nothing and everyone around me was sick multiple times. Not me :) Its the greens, I know it is. It is hard to find the right products for your body specifically since there are so many. This is the right one for me. I hope never to be without the greens again. Once a day, in juice, and no gas, no diarrhea, no constipation. I don't feel sluggish and after 6 months, I know it is not just a temporary thing. Love the greens! I've been using Dr. Ben Kim's Greens for around 12 years, and I haven't been to a doctor for at least as long. I'm 60. My girlfriend started about 3 years ago and because of the positive effect on her skin and general health she now won't let a day go by without it. We mix it with organic blueberries (frozen) and bananas in organic juice. Wait for the deal and buy several jars like I do. This is one of the products I use most often. I have tried many other forms of greens products, but this one always comes out on top as the best, or most appropriate one for me. In my case, it has everything to do with the quality of nutrition that I need. 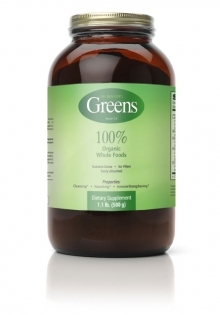 I purchased 6 bottles of the Greens to replace a multi formula. I started with just 1 tsp and worked up to a scoop as suggested. I had stomach pains when I drank this. I brought it to work thinking it would be a good mid-day drink so I had only water to mix with it; maybe juice would have had a different affect. I spent a lot of money so I tried a few more time but always got a stomach ache. I do use other greens products and I don't have that problem. I am sure it is a nutritious food; I don't understand why it didn't work for me. We are on our 2nd bottle now and love it. My 93-year-old mother also likes it, as well as our 22-year-old nephew, for staying healthy and feeling better. I love that this has sea veg in it, otherwise, I'd never get it any other way. Sea veg means my thyroid should be humming along nicely, since my mom has to take a script for hers - hypo. I wonder if she took this, would her thyroid issue resolve itself while taking her Rx until she no longer has to? It would seem worth a try, even though low iodide isn't always just the problem. Back to me: I have significant neck issues (MRI shows stenosis), so maybe the bromelain and the other enzymes are helping reduce pain. I HAVE felt less pain lately! (But, I'm also sipping bone broth with extra collagen powder, so maybe it's all doing some good.) I guess I'm sort of surprised this has grasses and leaves for land veg. Not a kale or spinach leaf in sight, lol. Dr Kim, do you think a person needs to take a B supp on top of this? We need a certain amount, and I have no idea if I get enough w/o supplementing, aside from this supplement. One more item: I love that this detoxifies, esp heavy metals. I feel super good doing something about that! I take a mixture of the Greens, Vit C cherry powder, and the Organic Whole Food Multi powder mixed with Coconut Milk powder a banana and a Tbsp of peanut butter. I feel great except for feeling a bit more gas than usual. I was not as sore after my morning workout. I'm still monitoring for before and after improvements. I have been using this product on and off for the past few years and am convinced we cannot go without it anymore. Great stuff for longevity of our entire family health. I'm on my second jar of this and I love it. I ordered tha Acerola powder with the second jar and together they help me to feel nourished. Thankyou Dr Kim for these awesome products. I can't say enough great things about these. Have a wonderful day sir. Long time follower of you newsletter. Thanks again. The new formula is not as effective for digestive purposes as the older formula was. I prefer the former formula. I've been taking the greens for several years and find the new formula to be less effective. I began taking the greens when I was nursing my 1 year old and pregnant, I had the energy of an 80 year old and could barely function. Within taking the greens for 2 weeks, it was as if all my former complaints were imagined. I like that the greens used are not the ones high in oxalates nor the ones that need to be cooked. 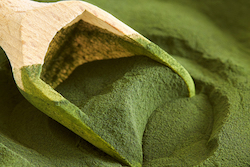 This powder has the greens that can be eaten raw without being detrimental to one's health. My children love it an my husband feels better with it. It is pricey but the difference in health is significant. My husband and I both love this product. We take it everyday as an assurance that we are getting good nutrition in our body. We are hardly ever sick and have more energy. The absolute best %u2014 and delicious! Green drinks have been recommended by healers for ages. I've enjoyed many of them over a substantial lifetime and this one is the most life-giving of all. I have taken your Organic green powder for years and tho I am 73 my blood work and blood pressure are that of about a 40 year old! Yes, I still have a few health issues like under functioning gall bladder, and thyroid and not as much energy that I had a few years ago but I am not complaining! Just don%u2019t ever stop selling your green powder! The first noticeable improvement, within a few days, was improved bowel movements. As a result, I began to feel more energetic and light, as if floating through the air. I will definitely buy this again through my friends whenever they visit the USA, as the shipping costs to my country are high. I LOVE THESE GREENS!!!! They are so much easier then making sure I always have fresh spinach or kale to add to my smoothies.They are convenient, wonderfully nutritious and mixed with fruit, they taste good!!! The best part: I have suffered from chronic constipation, my whole lifeI've tried EVERYTHING and nothing ever helped me until nowAs long as I am using these greens, at least, 3-4 times a week, I NEVER have problems with constipation any more!!! yay!!!! This is a wonderful product. While taking daily, it seem to stabilize my overall body energy and makes me feel younger and healthier. Better hair and skin. Recommend to try it everyone. I found this when I was looking for a supplement to clear up my skin. I was eating well, exercising, doing all the right things and yet I couldn't shake repeated breakouts of the deep kind that hurt when you press on them. I don't know what it is in these greens that made the difference but my skin was completely new within less than half a year. I have even noticed that some darker marks that were leftover scars from those that I had popped too aggressively have gotten lighter. Taking these greens has changed my life literally. Thank you Dr. Kim for recommending this during a real dark hour for me. I'd like to relay a story about my 6 month old baby boy. He was born at 4 lbs 4 ounces. He was full term and fully developed, but the doctors insisted on keeping him from me in an incubator as a precaution for 6 days after he was born. I went through hell and back to ensure he was breastfed. Even when nurses were trying to bottle feed him out of convenience. I'm happy to say that he is now almost 13 lbs, he has never been sick or even had a rash. He has been super healthy, for the most part. At 4 1/2 months though, I had stopped taking your greens because I ran out. My son started having trouble with constipation. He went for up to 12 days without a BM. My in laws took this opportunity to scoff at my natural health approach and tried to intervene. I did have to use suppositories for a time to give my son relief. I just could not understand why my breastfed baby could be constipated. Looking back now I feel so stupid, I was also having constipation trouble, I obviously was lacking healthy digestive bacteria. The Dr's only advice was to feed him apple for the fiber, apple juice as well. Nothing I fed him worked. I've been taking your greens for a month, and I'm happy to report that for the last 2 weeks, my son has been regular, and much happier. I had no where to turn for advice on this issue. A lot of other moms don't breastfeed, even the older women in my life with 3 grown children, didn't have a clue - just go to the doctor! Being a 1st time mom, I'm glad I figured out the problem and started back on your greens. I will be sure to take them before, during, and after my next pregnancy! Thank you Dr. Kim. God bless you and your family! Within about 3 months of taking this, I noticed one day that my congestion was solved. Ever since I was a teenager, I have had people everywhere ask me if I had a cold because I sounded so stuffed up all the time. I don't know how this helped me but my hunch is that it changed the way my immune system handles things like dr. Kim explains with leaky gut and how once the gut heals the immune system gets stronger. I took the amount that he suggested at three and a half teaspoons a day split up into two doses (I am about 170 to 175 pounds). This was not the cure-all I was hoping it would be, but I would not now want to live without it. When I'm feeling a bit tired and/or haven't been eating enough greens, this is what I crave. Definitely a daily habit now! Thanks for the capsules, they'll be handy for travelling! This totally cleared up my acne. I suffered for two years with deep cystic acne that kept coming up on my cheeks. I took the greens twice a day every day and my face is now back to normal...it took three months. Thanks so much, I will be taking this for life! I've been wanting to thank Dr. Kim for his great Greens for a few years now. In 2009, I fell off my bike and ripped open a big gash in my thigh which required 18 stitches. The ER doctor referred me to an orthopedic surgeon for follow up, just to make sure there wasn't other damage. Well, I met with the orthopedic doctor a week after the injury occurred. He looked at the injury, looked at his chart again, and said, "There must be some kind of mistake. It says here this happened just a week ago, but it's obviously been a few weeks for that much healing to have occurred." When I confirmed it had only been a week, he asked, "what are you eating?" I could only think that Dr. Kim's Greens was making the difference. I don't take them as regularly these days, but I do crave them, and seeing the reviews for how it helped with osteoarthritis makes me want to be a regular user again. I just finished my first bottle . I use it every morning with the Acerola cherry in my water bottle, shake it up and ready to go!!!! I love it . It so good for my skin , after afew weeks, everyone at work thought I start using make up ,my skin never look this good . I am 48 years young male !!!!!! I swear up and down by this product (well anything recommended by Dr. Kim) but I have had GI problems for the last 2 years and ever since I have been taking the Greens Powder I have been feeling so much better, I combine the greens with Dr. Kim's Vitamin C Powder together every morning in a smoothie and I'm ready to go. I also take a Tablespoon of Cod Liver Oil every morning as well. These are the BEST greens out there and they really work. Thanks Dr. Kim! I'm hooked! My energy level and skin both improved very quickly. This powder makes me feel GOOD! Dr. BEN KIM,S Greens and vitamin C are an excellent choice of supplements to consume for strengthening your immune system. Love the greens! I've been taking greens for only two weeks and already notice a difference. I use a tablespoon with 10 oz of water first thing in the morning. Gives me a "happy feeling". My skin is glowing and my eyeballs are white. I stocked up on the Greens a few years ago. I tend to go through periods of forgetting to take them everyday, but when I start up again, I can definitely see a difference in my energy levels and complexion. I usually just chug the powder with a glass of room temp water. The flavor isn't pleasant, but I assume no one is on this web site searching for the tastiest way to healthfulness. It tastes exactly as it should. My wife, two boys, and I take the greens along with the Acerola cherry concentrate daily. We mix it with orange juice for the kids. It has kept us feeling energetic and regular. We will keep taking it! Thanks Dr. KIm! I love the greens. It lasts for two months. It keeps me regular, gives me energy. My mom likes it too, so we are for the second one. The taste is not bad if you consider all the benefits you get. it is better with water and drink it right away. I'm on my 4th bottle of Greens and have particularly noticed its internal cleansing effect and improvement in bowel function and skin. After the 3rd bottle I deliberately stopped taking it for a few weeks and definitely noticed a difference. A couple of days after starting my 4th bottle my nose began running like a tap (I did not have a cold, allergy, sinus trouble etc) and for the next 2 days I blew a lot of thick, sticky mucus out of my nose. I am certain it was the Greens doing its cleansing job. I have tried mixing greens with every combination and have found it is easiest and best when taken with plain water. The taste is not bad and it even gives me an instant feeling of comfort and well-being. Forget starchy comfort foods! Forget unhealthy and illicit drugs! These greens are better. Dr. Ben Kim's Greens are truly the best anyone can find, and for the price, how could anyone turn it down. I will never use any other kind of greens again. Dr. Ben Kim's Greens in combination with his Cod Liver Oil cured me of my osteoarthritis, I am forever grateful for this.